“There is a conflict in every life called Love. A conflict as old as the Garden of Eden. Within this battle of Love, every human being has a part." She's an All-American girl from Harlan. He's a world-renowned ecologist from England. How were they to know their paths would cross in such a strange way? Was it fate or folly? How can falling in love be so easy, and yet so hard? They are just hoping they can stop the road being built, before it's too late. Or at least before they both fall harder than they've ever done before. Alone they are one voice. 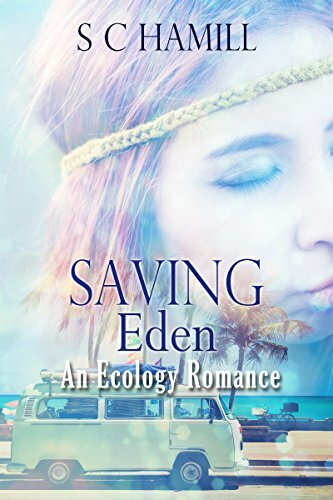 Together, they are Saving Eden. A captivating and fascinating thought provoking read! Ward Thomas appear courtesy of themselves (Catherine & Lizzy) and Ward Thomas Music. Harlan campground, cabins & kayaking appear courtesy of CEO Mr Stephen Foster. All reviews received with gratitude.